The day she say's "I Do", she'll love to carry around her new last name. 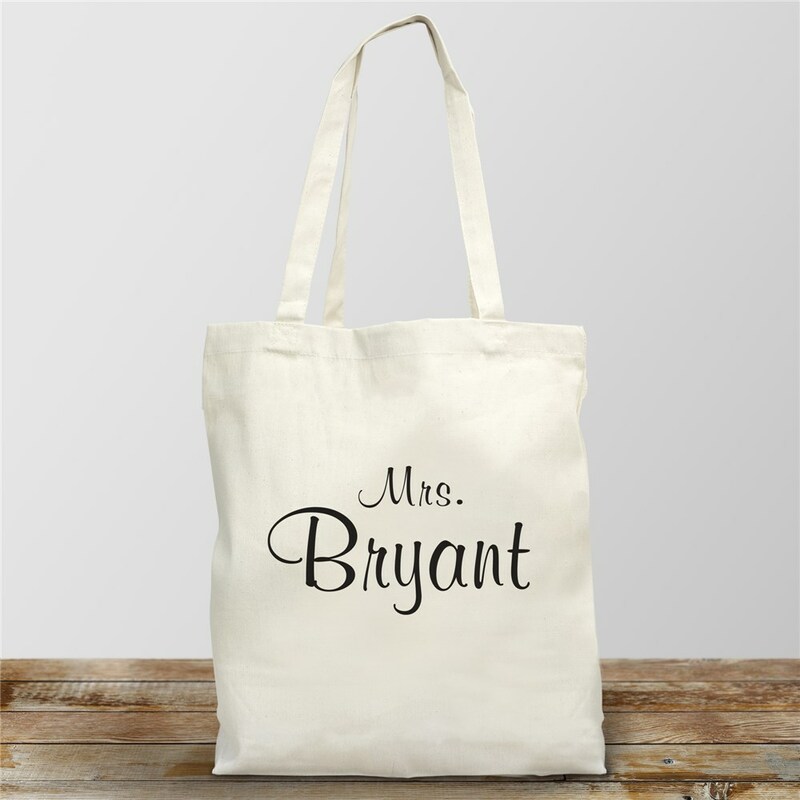 Personalized with any last name, this tote bag makes a great gift for any bride-to-be. Additional Details Makes an excellent Mother's Day Gift!